As genres go, opera and African-American spirituals can easily stand on their own. But what would happen if performers of both long-established styles were to join voices in a single, combined program? 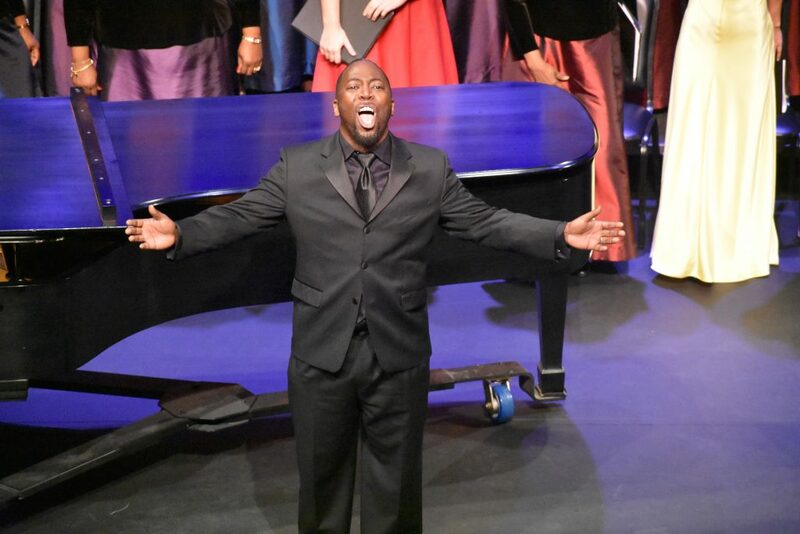 The Palm Beach Opera and The Ebony Chorale of the Palm Beaches put that supposition to the test Thursday night in an epic collaboration, a show called Crossings: Two Traditions. One Musical Heritage, at Palm Beach State College in Lake Worth. The troupes mended any possible rifts with a single exhilarating show. Greg Ritchey, the opera company’s choral director, held it all together with excellent, smooth piano work. Audience reaction best told the tale. After responding a bit tentatively to the opening number, “Va, pensiero” from Verdi’s Nabucco, a piece excellently performed by both opera and chorale members, the gallery revved up their energy. It didn’t take long for everyone seated to loosen up. As the 16-song performance unfolded on the Duncan Theatre stage, vocals gained momentum and viewers began to clap along, stamp their feet and, at the fading of the last notes from the final tune, “Oh Lord, I’m on My Way,” from Gershwin’s Porgy and Bess, every person in the nearly sold-out auditorium stood and applauded wildly, enticing the company to reassemble for an encore. The 90-minute production had virtually flown by. Overall, the show got a big boost from historical narration offered between songs that helped tie the threads connecting the two musical forms. 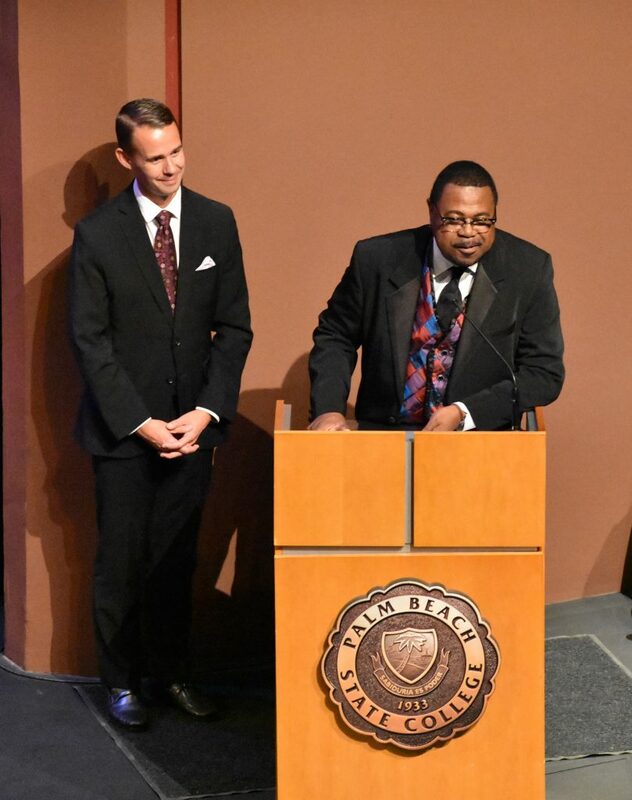 “Tonight, we will extol two traditions that span centuries,” said Neil Nelson, the Miami-based operatic baritone whose remarkable versions of Verdi’s “Tu sul labbro” (also from Nabucco) and the spiritual “Ain’t Got Time to Die” echoed powerfully through the vast hall. In song and story, listeners learned how the seeds of opera were planted during the late 16th century Florentine Camerata and spawned over centuries into musical theater, the Great American Songbook and pop. At virtually the same time, the slave trade of African-Americans bred faith-heavy, repetitive and inspiration songs, ones that sought God and His intervention. Words and tunes were passed on orally. Eventually, spirituals would give rise to gospel, jazz and blues, and later, inspire rock ’n’ roll. “The genres may be different, but share a similar structure and, more importantly, a desire to be heard,” said one of the narrators. Humor slipped beautifully into the program. 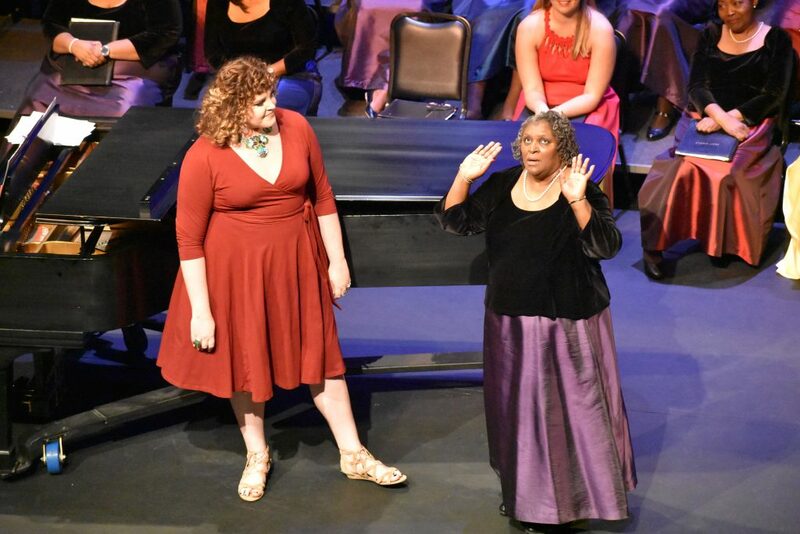 Tara Curtis, another Palm Beach Opera young artist, and Ebony’s Joyce Pinkney performed the capricious spiritual “Scandalize My Name,” offering each a chance to one-up the other by naming people who have dissed them. Several songs got special treatment. 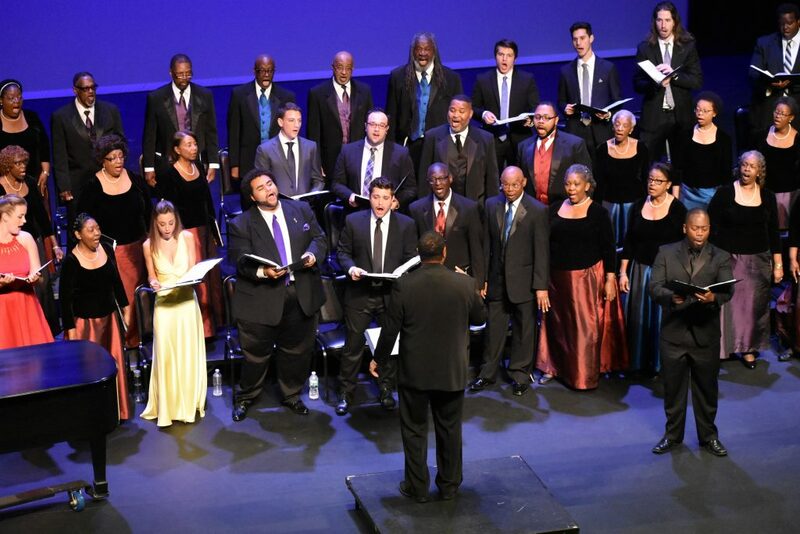 “Daniel, Daniel, Servant of the Lord,” featured Ebony tenors Lemoria Lester Jr. and Lee Allen Hooks leading the opera and Chorale singers with the story of Daniel’s deliverance from the lion. Jessica Fishenfield and Derrek Stark fronted both troupes for “Make Our Garden Grow,” from Leonard Bernstein’s Candide.